Jason has been working so busy here in Australia. The next day of my arrival, I walked around Surfers Paradise during the day. This town is like Waikiki of Gold Coast...lots of shops and tourists. 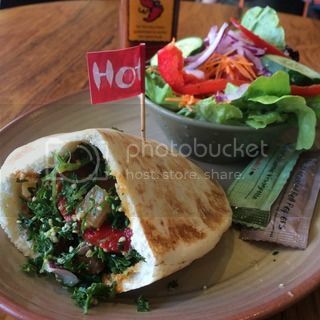 I had lunch at Nando's which was recommended by Jason. 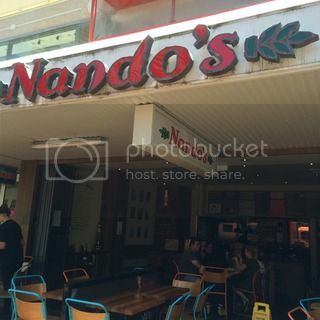 It's a small chain in Australia and they are known for grilled chicken. I had grilled chicken breast pita sandwich with hummus and tabbouleh inside. Their hot sauce was quite addictive. Good lunch. What?! 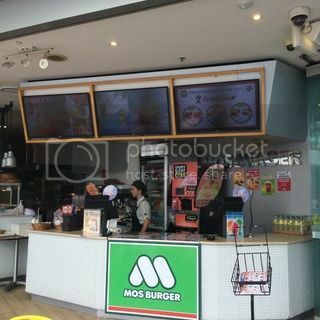 Mos Burger in Surfers Paradise?! In fact, I learned that this popular burger chain from Japan has several outposts in Australia. I should check it out once during my stay. I also enjoyed checking out local grocery stores such as Woolworths and Coles. 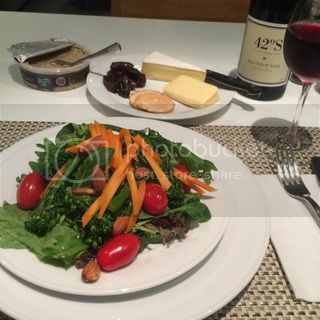 Since Jason was not going to be home until very late, I did some grocery shopping and prepared simple dinner for myself in the evening. I brought Mori's Uruguay Koshihikari rice from home, so I could make rice, too. I wish I had my Kamado-san donabe rice cooker here...I had to make rice in a regular pot, but it was still good (while not as great as rice made in donabe). I could also find white miso, tofu, and shiitake mushrooms, so I made miso soup (I brought dashi tea bags from home to make dashi). 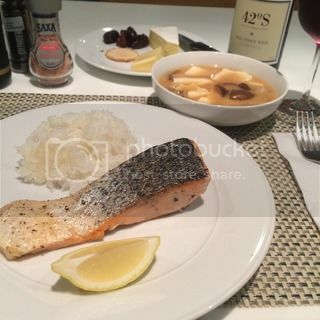 I made simple pan-fried Tasmanian salmon, and it was really good. And, of course, Aussie wine... Nice cozy evening.